This is a pre-order. Expected ship date is July 17, 2019. THE ELVIS PRESLEY - FRIDAY MUSIC 180 GRAM AUDIOPHILE VINYL SERIES CONTINUES!!! CELEBRATE SIX DECADES OF THE #1 "LOVING YOU" SOUNDTRACK WITH THE KING OF ROCK N ROLL!!! FIRST TIME 180 GRAM AUDIOPHILE SUPER LIMITED EDITION TRANSLUCENT GOLD VINYL! FEATURES SMASH HITS: "(LET ME BE YOUR) TEDDY BEAR" "LOVING YOU" "MEAN WOMAN BLUES" "HAVE I TOLD YOU LATELY THAT I LOVE YOU" & "BLUEBERRY HILL"
Elvis Aaron Presley was born during the great depression into a poor family in Mississippi. They moved to Memphis during the early fifties, and as a struggling young truck driver, he cut some demos at Sun Studios as a gift for his beloved mother Gladys. These initial songs would become the catalyst that would kick-start the beginnings of a soon to be worldwide superstar unlike the world has ever known. The folks at RCA Victor knew that this young fellow named Elvis was destined for super stardom. They quickly bought out his contract and signed the legend to a long term deal. In 1957 after two chart topping albums and a bevy of number one singles, more incredible fame followed as the "Loving You" motion picture starring Elvis Presley became a box office smash. The "Loving You" soundtrack album also was a blockbuster as it topped the charts for over two months, making this his third smash number one album. "Loving You" truly proved once again that his career was unlike any other in music history. The chart topping album takes off with two smashes in a row, the classic rocker "Mean Woman Blues" and the chart topping single "(Let Me Be Your) Teddy Bear." It also includes the wonderful title track "Loving You" and the stellar balladry of "Have I Told You Lately That I Love You." The Lp also features a nice helping of solid interpretations of Elvis’ own favorites like the Fats Domino classic "Blueberry Hill "and the timeless Cole Porter hit "True Love." In total, the album showcases twelve important Elvis Presley recordings which have truly gone on to become international classics. 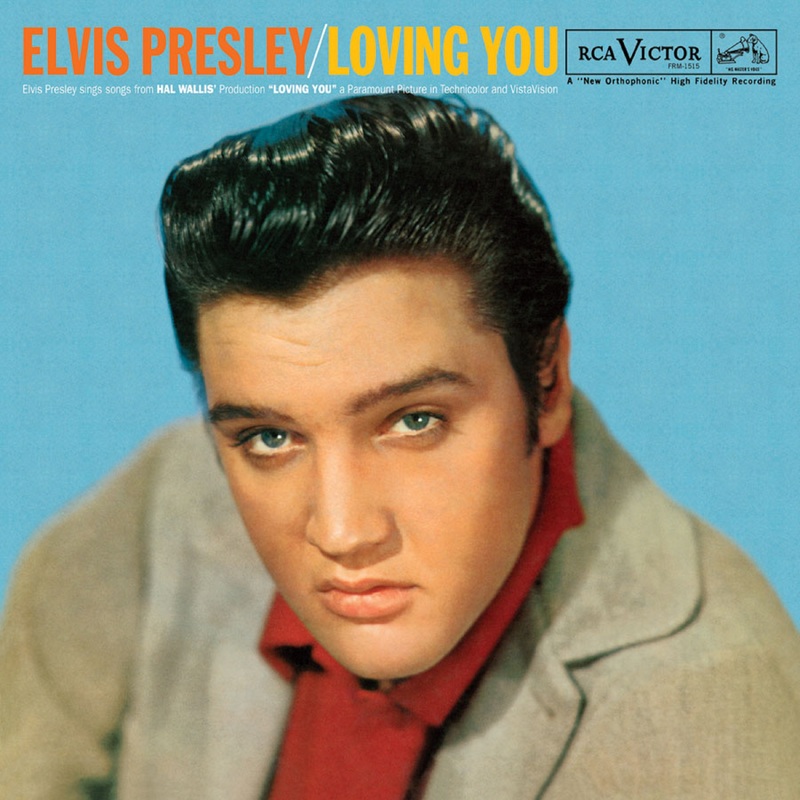 In honor of the Man, the Music, the Legend, the King Of Rock And Roll, Friday Music is very pleased to announce the first time 180 Gram Audiophile Translucent Gold Vinyl release of the RCA Victor classic "Loving You" by Elvis Presley. As another installment in our exciting Elvis Presley 180 Gram Audiophile Vinyl Series, we are very pleased to present this super limited edition masterwork in all its high fidelity glory. Mastered impeccably by Joe Reagoso (Elvis Presley) at Friday Music Studios and manufactured at R.T.I., "Loving You" will be a much anticipated audiophile dream release for Elvis fans everywhere! For this exclusive presentation, we are also including a striking gatefold album cover which includes the groundbreaking original LP cover elements as well as more rare visuals from this historic Elvis Presley movie and platinum plus soundtrack.